There are a few Dutch companies I always visit when in Milan. 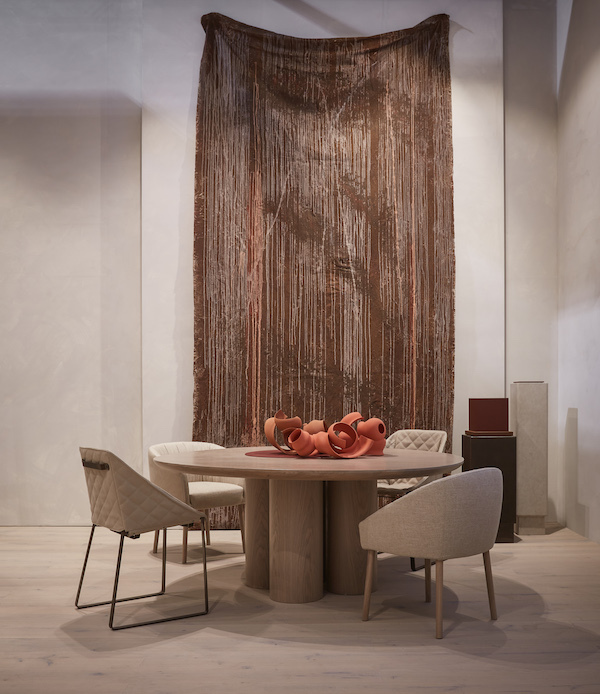 For many years Piet Boon could be found in zona Tortona and breakfast with the company was part of my yearly Milan design week. So is a meetup with NLXL, who always have the best parties. I have build up a long time relationship with both brands and in this post some news from the two companies that again are working together. Previously Piet Boon designed a series of concrete wallpaper for NLXL in 2012, see this post! Time flies and it seems years ago I had giveaway's like the one with NLXL and Piet Boon on the blog, I sometimes wonder if you miss me teaming up with a brand and arrange a gift for you. It seems everyone is hanging out on Instagram nowadays, and so do I, but I do love to keep my blog as it is a kind of diary of my personal taste, finds and growing process over the years. I am not ashamed of what I used to like 10 years ago interior wise. But I have to admit! I am really happy with my current state of mind and the blog aesthetics I try to keep up. I still always only write about what I really love and about people that inspired me over the years and I got to build a relationship with. It can be hard to find the right balance though especially if you are around for a long time and really got to learn how things work, or how brands talk about and work with bloggers. There is still a lot to learn on how to work with bloggers for them as well. 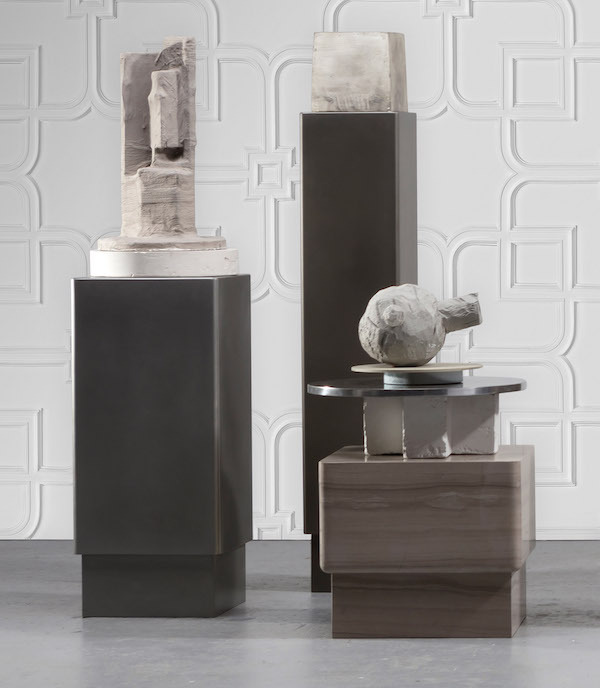 This year the two teamed up again for the 'Monochrome' series NLXL launched at Rossana Orlandi. A series of monochrome wallpapers by different Dutch designers like Piet Boon, Roderick Vos and other. Rich and refined is what characterizes the new Piet Boon by NLXL Ornament Wallpaper. 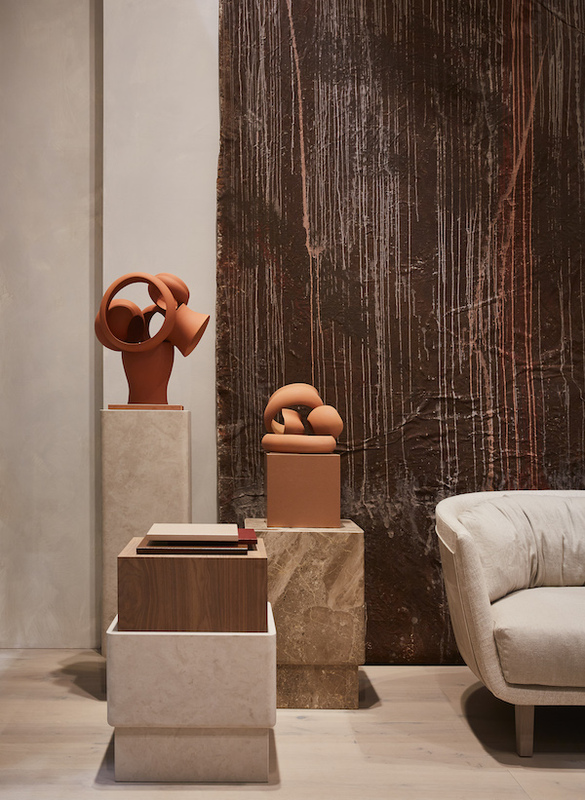 Studio Piet Boon presented their renewed furniture collection at the Rho fair ground, a space in the well known Piet Boon colour scheme with a few orange accents. The aim of this year’s ton-sur-ton presentation is to create the ultimate calm residential context that emphasizes the strength of the exciting collection whilst demonstrating how individual pieces combine well together. 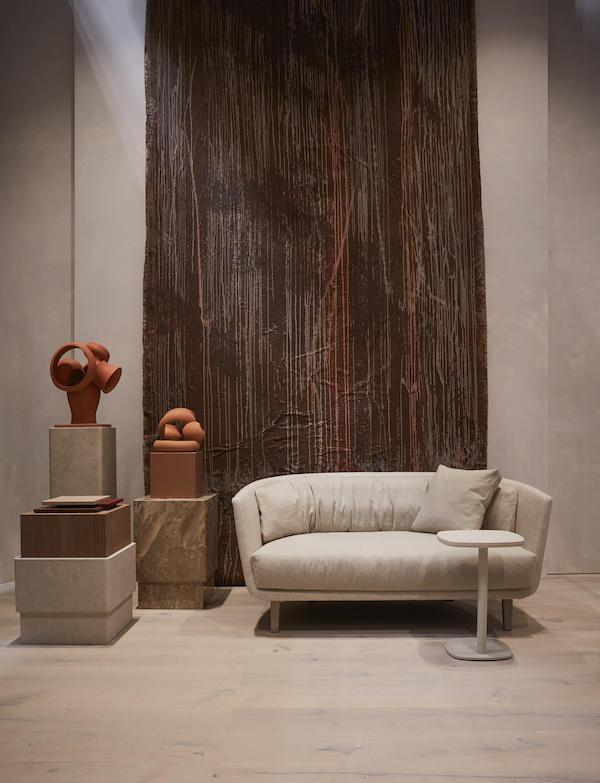 Visitors of Piet Boon at the Salone are invited to step into a world where functionality, aesthetics and individuality are perfectly balanced.